Though the story of a 14-year-old Chicago boy being lynched in Mississippi is more than 60 years old, the case of Emmett Till continues to this day. In a new book about Till’s life and death, the woman at the center of it all recants her original story, the one that got Till killed and two men acquitted. Chicago Tonight recently spoke with several relatives of Till who say they’ve always known that the tall tale we’ve heard for years was never true, but was used to justify Till’s murder at the time. Keep in mind, it was 1955 in Mississippi. But they say they are quite surprised that Carolyn Bryant Donham, now 82 years old, confessed that the story was a lie. During Donham’s court testimony, the jury had been dismissed from the room. But the defense attorney for the two men tried, Donham’s then-husband Roy Bryant and his half-brother J.W. Milam, used it in his closing argument before the jury. Wheeler Parker, Till’s cousin who was with him that fateful day at a general store in Money, Mississippi, says his cousin was a prankster, and he did see him give Carolyn Bryant the wolf-whistle outside the store, but they never saw what was alleged to have happened inside. Donham shared this with the author about 8 to 10 years ago when he began working on the book. “The Blood of Emmett Till” goes on to tell a broader story about the impact of Till’s death, and how his mother’s choice to have an open casket funeral here in Chicago ignited the civil rights movement. But the revelation in the first chapter is what has several people calling for a reopened investigation. Democratic Rep. Bobby Rush, who represents the district where Till’s mother, Mamie Till Mobley once lived, and Democratic Rep. Bennie Thompson from Mississippi have both sent letters to U.S. Attorney General Jeff Sessions asking for just that. But her mother, Ollie Gordon, was a child when he was murdered and lived with his mother. She says the family almost never hears from authors and moviemakers who want to tell this story. As to whether there is any chance there could be charges again: By now, the statute of limitations has run on any instances of alleged perjury. However, there is no statute of limitations on murder. Benson also has a legal degree and explains that, even if Carolyn Bryant Donham was found to have lied to the FBI as recently as its reopened investigation back between 2004 and 2006, the statute of limitations has run on that. So one option – and it comes with conditions – would be under the Emmett Till Unsolved Civil Rights Crimes Act, a law actually named for him, under which the FBI could investigate, and turn over any new information to the state of Mississippi. If the feds should find Donham actually somehow participated in Till’s murder, only then could she face charges. “To have someone convicted at this point would send a message to the larger population that, no matter how long it takes, no matter how old you get, if you’ve committed a horrible crime, or participated in a horrible crime like this, you will pay eventually,” said Benson. We have been in touch with Tyson, the book author, to get his perspective about the family’s concerns. He says as an author and historian researching his book – and because he, too, felt Donham lied all those years ago on the stand – he didn’t see this as a major revelation, and didn’t think to share the news with the family. For that he’s apologized to the Till family. We hope to have Tyson on Chicago Tonight this spring, as we do so many book authors when they’re available. My life is a life in the struggle, which is one reason this book took ten years to write, although there were others, too, mainly that this was such a hard, dark, horrific story that some days I just could not make myself go down in that abyss. I did not decide to write the book because of my interviews with Donham, which I intended to simply record and place in an appropriate professional archive for use by future historians. It was my exploration of the library, partly in preparation for this interview, that showed me that there was only one rather flimsy and dated professional history of the Till case, among all the novels, memoirs, ballads, poems, songs and document collections about Emmett's lynching. Now there are two more, counting this one, but there are room for still more. I had no idea it would take seven years of research and two years of writing. The Blood of Emmett Till does not verify any of Carolyn's stories as factual… The book uses hard documentary evidence to prove that she lied in court and that it was a terrible crime; it does not merely rely on her account of having lied in court, but verifies that she did using concrete and irreproachable evidence… I did not bother Emmett Till's family for interviews because many others have already done so and repeated versions of their accounts were available to me in many other ways… I felt that I was given a more than adequate account of their experiences and saw no reason to make them repeat these stories, since I had several from each of the family witnesses that were living. I see that they feel otherwise, and that in itself makes me regret that I did not contact them, but from a scholarly standpoint I felt that I had all that I needed. To me, this was not anything like the morning news. Did anyone with any relationship to or familiarity with this story actually believe that Carolyn Bryant told the truth in court? I did not consider this a big revelation; I am a historian and I do not operate in the 24-hour cable news cycle or the popular press, and so the news value of the interview was not my concern. My burden of responsibility to this crucial American story was to comb through the massive pile of evidence and try to find the truth as best I could. This absolutely crucial American story deserved to be treated with an appropriate level of respect and scholarly integrity. 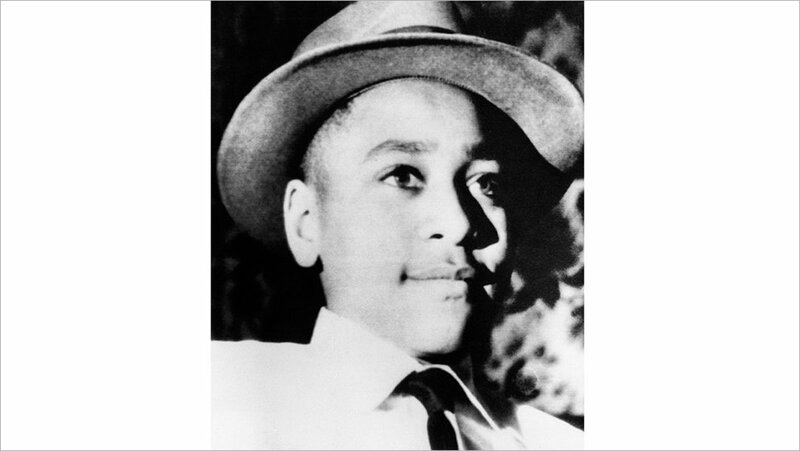 Aug. 25, 2015: The death of the 14-year-old Chicago boy, brutally murdered in Mississippi in 1955, became far more than just another lynching during the Jim Crow era.